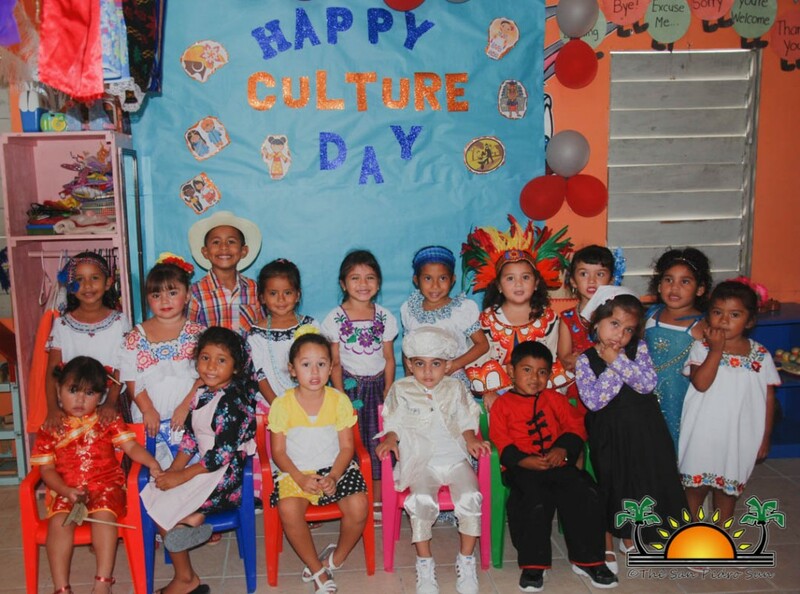 As part of Child Stimulation Month activities, San Pedro Preschool celebrated ‘Cultural Day’ on Thursday, March 9th. 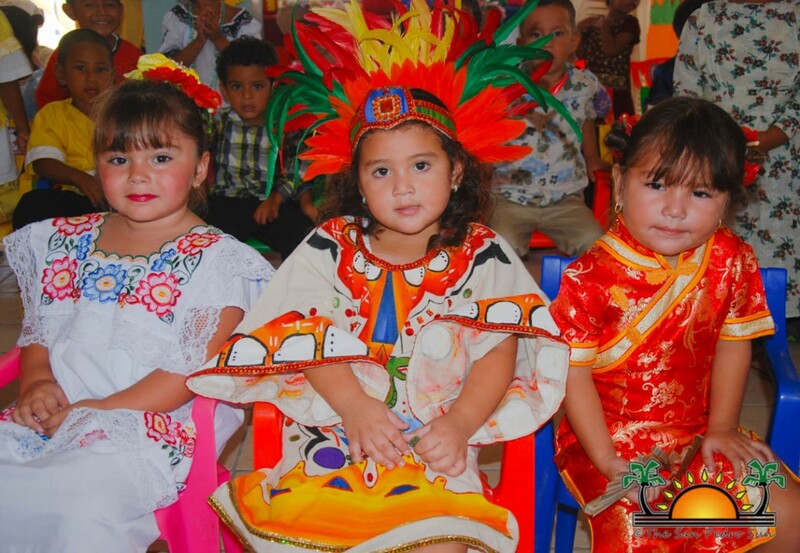 Smart toddlers were dressed in costumes representing seven dominant cultures within Belize: Maya, Mestizo, East Indian, Creole, Garifuna, Chinese, and Mennonites. 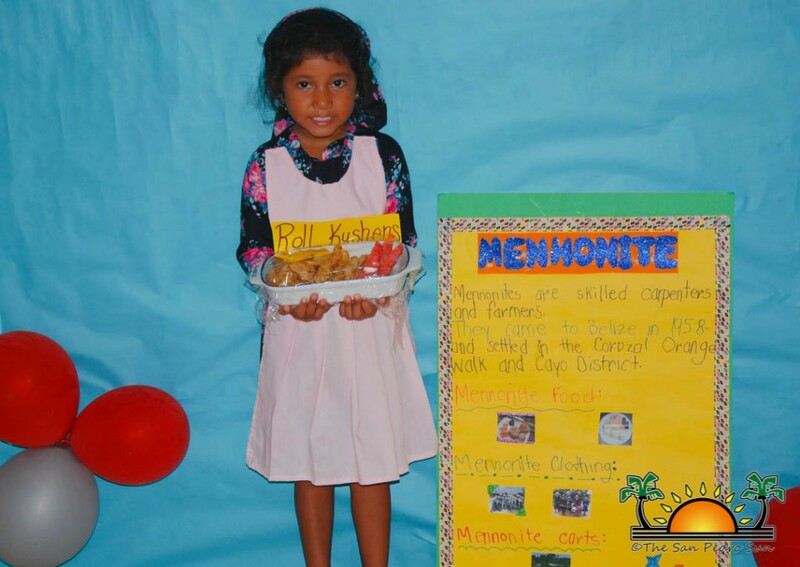 Each child was called to present their assigned culture’s traditional dishes. 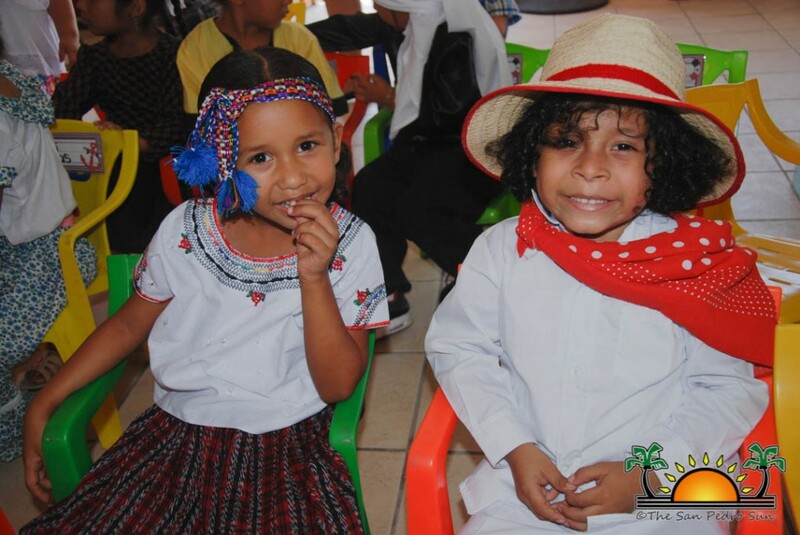 From Chirmole (Mestizo) to Sere (Garifuna), and Roti (East Indian), they were delighted to celebrate diversity. 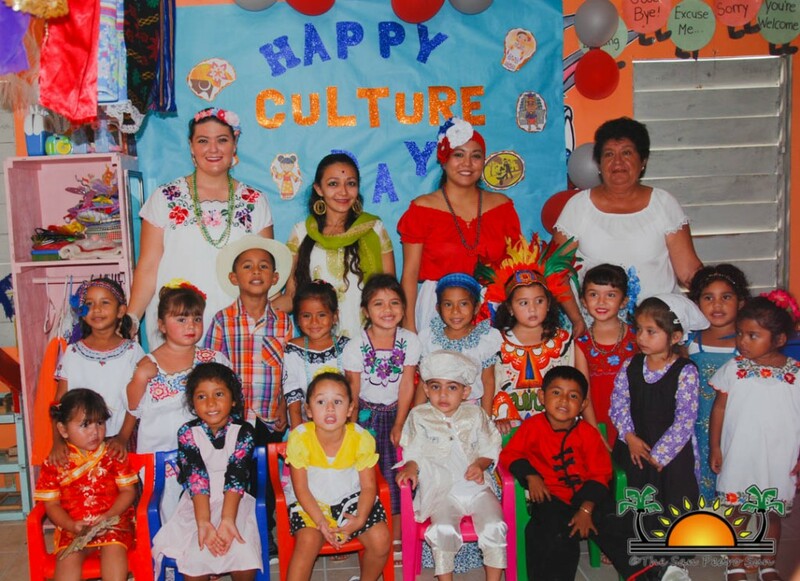 Teacher Andrea Nuñez told The San Pedro Sun that it is important for children to learn about culture. “I am happy that they were open to learning about different ethnic backgrounds. 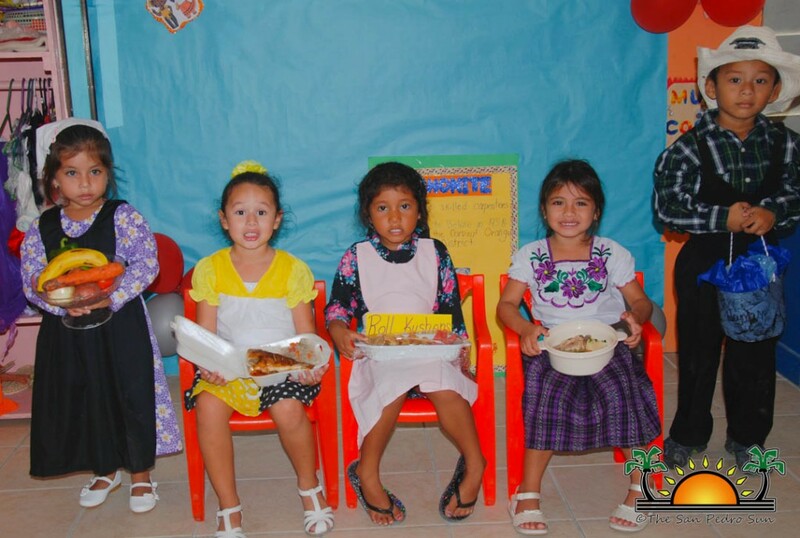 They all brought a national dish, and presented it to their classmates. It is very important for them to be exposed to different cultures because it opens their mind when they know that there are different types of people in the country. 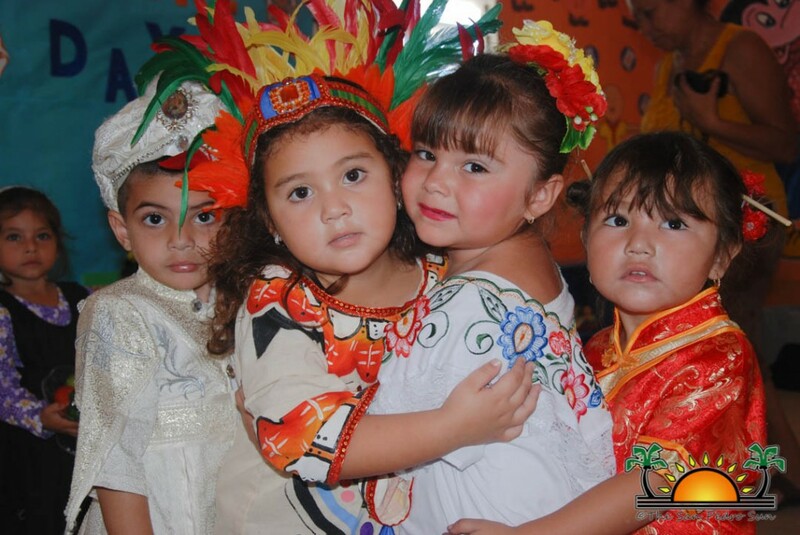 When they get older, they won’t be shocked or become judgmental when they see others dressed in their native wear. We want them to be proud that their country is enriched with many cultures,” said Nuñez. 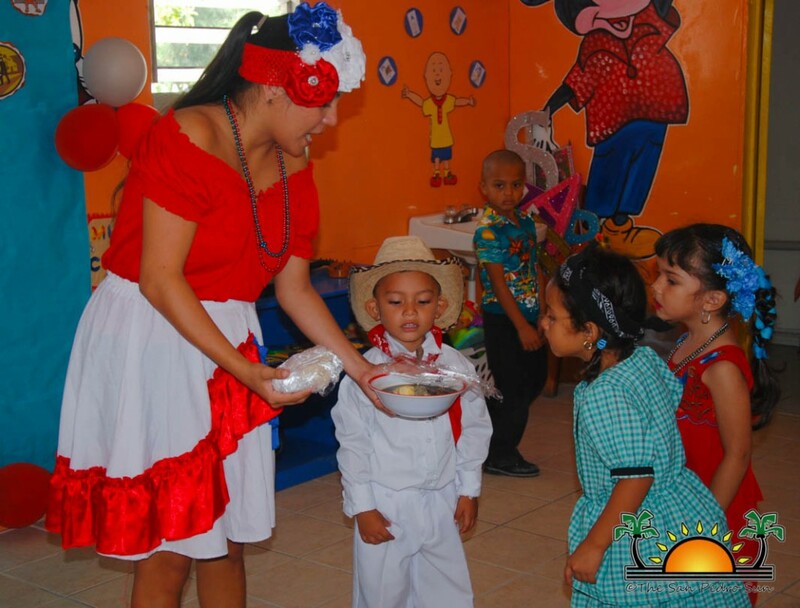 Held under the theme-“Positive play, positive minds, brighter tomorrow”, Child Stimulation Month continues its full calendar of events to highlight and raise awareness about the importance of early childhood education. There will be lots more fun activities during March, including Grandparents Day, Sports Day, and Aerobic Day!